Heyo, everyone! 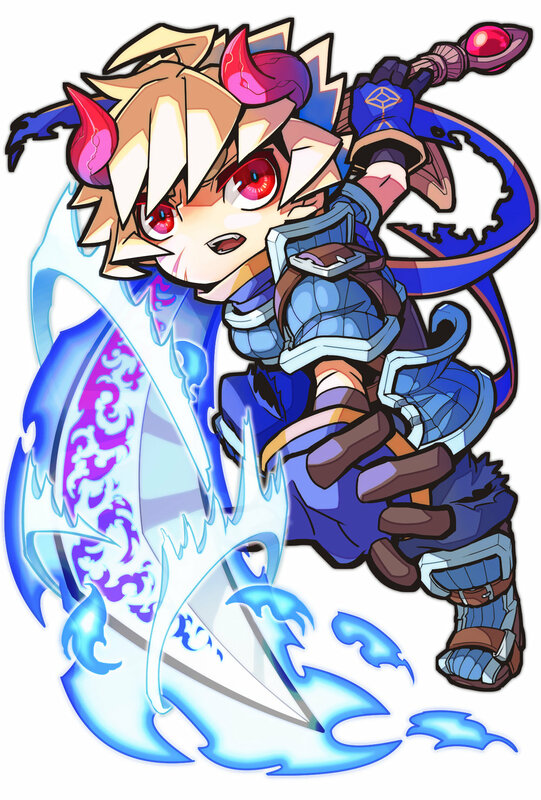 LionWing president Bradly Halestorm here, and today we bring to you a look at one of Sainome Colosseum R's ten playable characters, the Pure-Hearted Swordsman/Demon warrior. We'll be taking an in-depth look at the character's lore and gameplay while exploring both his Normal Form and Awakened Form. So without any further ado, let's get to it! As we can see here, fighters from all around the realm are gathering to compete in this gladiatorial contest. Each has been brought to the tournament for their own reasons but all have the goal of being the last warrior standing. There’s more to it than this story, however. The royals who have set up the tournament have promised its winner both riches and fame, which has undoubtedly played a significant factor in many of the contestant’s decisions to enter the event. Furthermore, there’s also a rumor circulating that the winner of the tournament may even be eligible to wed the kingdom’s princess, though no one can confirm the validity of such conjecture. That’s where the Pure-Hearted Swordsman enters. 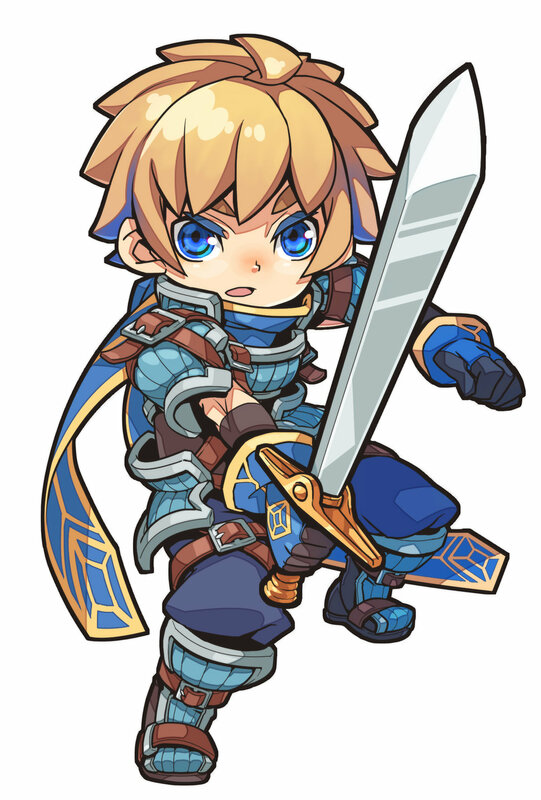 As one may be able to deduce—both from this biography as well as also him being featured prominently in the game’s key graphic, which can be seen on our main page as well as at sainomecolosseumr.com—the swordsman plays an integral role in Sainome’s story. But while he appears to be noble and pure of heart on the outside, upon awakening, he unleashes something truly terrifying from within: a demon warrior the likes of which has never been seen. His foes can only hope that they don’t bring out this dark side, for if they do, all bets are off with regards to what he’s capable of. Nevertheless, talk of the princess’s hand in marriage has stirred the swordsman to partake in the event and created an unbreakable resolve—one he certainly plans to utilize in order to get him through the contest. After all, there’s no stronger motivator than love. Thus, in Sainome’s narrative, the Pure-Hearted Swordsman is a strong contender for winning the tournament. Now let's discuss the character's playstyle by starting with his Normal Form abilities first. His first skill, “Proficiency,” allows him to add +1 damage to any and all equipped weapons. This is one of the more powerful Normal Form skills in the game, making the Pure-Hearted Swordsman pretty savage right out of the gates. To offset this, however, he can only awaken once he’s down to 3 HP by using the skill “Heritage." By the time that players are down to 3 HP, though, it's already pretty late in the game. Thus, folks will have to strategically use and rely upon weapons specifically to do the majority of their damage when playing the Swordsman/Demon Warrior, simply due to spending the bulk of their time in the character's Normal Form, the Swordsman. But, once he does transform, he becomes a proper beast. No longer the Pure-Hearted Swordsman, the Demon Warrior gets an enhanced version of Proficiency through the skill “Arm of the Demon.” This skill grants +2 damage to equipped weapons (up from the +1 of Proficiency), and could theoretically defeat an opponent in five attacks, if they’re at full health, and in less turns if they’ve already been beaten down some. Then there’s “Infernal Choice.” As if the Demon Warrior wasn’t powerful enough already, he now gets to roll two dice on his attack and choose either of the results. This allows for a strategy that is less luck-dependent, due to being able to socket specific pieces of gear into the Warrior's equipment slots and thus increasing the chances of being able to activate those smartly-chosen pieces of gear. Ensuring that said gear is a bunch of weapons—so that the player gets the damage bonus from Arm of the Demon—makes for a crazy one-two punch. And then there’s the skill “Star Breaker.” Star Breaker states that, before rolling the die during an Attack action, players declare a value of 2-5 for the star attachment slot. Why is this such a powerful skill, exactly? Well, to explain that, one has to know, in the case of multiple matching slots, that ALL cards of that slot-type are used in the attack. You see, all Sainome Cards—which consist of weapon cards, item cards, spell cards, and counterattack cards—have at least one attachment symbol (which is a dice-icon with a specific pip represented on it) located at the top, bottom, right, and/or left side of the card. This attachment symbol on the Sainome Card must match an attachment symbol of the same pip on the Character Card. If a character has the same pip attachment symbol on two or more sides, when the die result is the same as those pip icons, all Sainome Cards attached to the character that have that matching pip symbol are activated at the same time. So, in now knowing that, one can clearly see that Star Breaker allows players to essentially slot multiple items, spells, or gear with the same attachment symbol so that the Demon Warrior can activate all attachment slots of a certain die result. This, when combined with either Arm of the Demon or Infernal Choice, can one-shot an opponent if they’re HP is low enough and the player controlling the Demon Warrior had the right Sainome Cards equipped. Needless to say, the Pure-Hearted Swordsman/Demon Warrior is a scary, scary dude to face off against. His skills are super strong, and when played well in conjunction with good Sainome Cards, he can steamroll opponents. However, he can only get this opportunity once his health is super low and he’s awakened. While his Normal Form is strong, it's his Awakened Form that can wreck people. The best strategy when playing against the Pure-Hearted Swordsman/Demon Warrior? Have someone with high burst damage that can take him down quickly, especially once he’s at or below 3 HP. If he is given room to breathe after he’s awakened upon hitting 3 health, the game can quickly and dramatically swing in his favor. And that wraps up our first full entry in this Character Spotlight! Be sure to check back next Thursday when we drop our second mega-sized blog chronicling the lore and gameplay of our next character! Of course, if you have any questions or comments for us about the characters as we go along, don't hesitate to hit us up on Twitter, Instagram, Facebook, or in the comments section below.